Life Is But A Dream… IS IT? – GOSH!About: Fashion. Art. Music. Events. TV. Non Profits 'N' Lifestyle > Subscribe now! 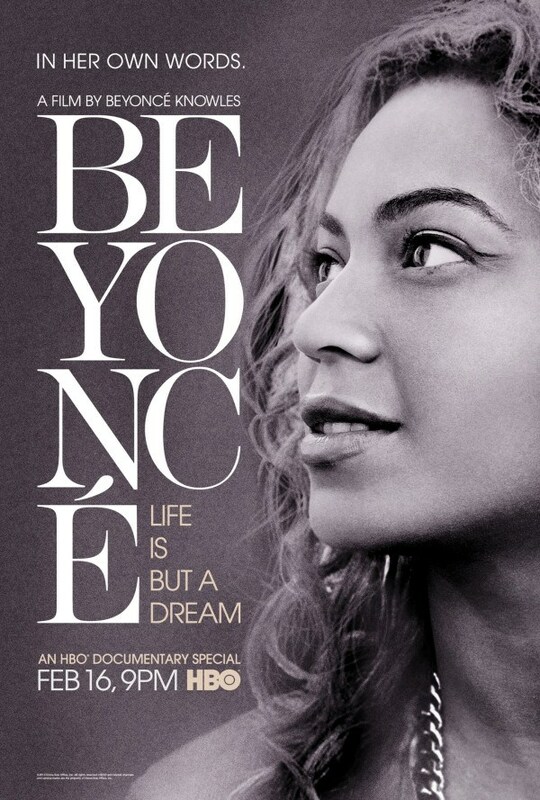 I had the opportunity yesterday evening to watch Beyonce: Life Is But A Dream documentary. Yes, I missed the showing in February and its been at me to watch. I didn’t have any expectations but to simply watch it and see for myself and to have my own interpretation without all the other noise that’s been surrounding this film. Beyonce Knowles has been in front of us for sooo many years. People of the 70s’, 80’s and early 90s’ have watched Bey from a young little girl grow into a beautiful woman and now a mom. She has experienced so many things in life and had to make decisions and learn how to take care of herself and do it on her own. She’s like many, many of us ladies who are working and caring for families on a daily basis, the main difference when it comes to her is that she is living most of her life in front of the cameras, media and scrutiny from people of the world. In this new documentary she created and produced, she actually show and express the change between a daughter and her father. The change in their relationship. This film spoke strongly on this dynamic, which is relate-able to many of us including myself. That change can create a major shatter within a woman’s heart and soul, because it will never be the same again. The opening of the film shows the childhood memory of her and her dad’s close relation. She relies on her dad, looks up to her dad. Dad is the star in her eyes. And most little girls experience that great protection and strength of their dad. But we see as the film goes on how that relationship changed. The success of Destiny’s Child, and the hard labour of pushing and working and becoming better, and the schedules, meetings, expectations, family members now employees, agents, pr, record labels, producers, studios, tours, shows, fans, media, paparazzi, stockers, photoshoots, videos, and every person pulling on her to give an answer, direction, confirmations and this cycle going 24 hours, 7 days a week, 365 days a year, non stop… The lines do begin to blur for Father is no longer there, Manager-Father has taken its place that when she needed Dad to be Dad, he wasn’t present and there was no time. And yes there had to be at some point tensions are built, arguments happen, hurt and pain are felt and having to learn not to express them for its a family matter not a media matter. Beyonce expressed the need to have her Dad and had to make a hard decision in order to get him back is to let him go. Wow! that’s a moment. Risking it all in order to save that relationship. At that point its not about album sales, tours, its about life and love. Would you have done that if you were in her shoes? 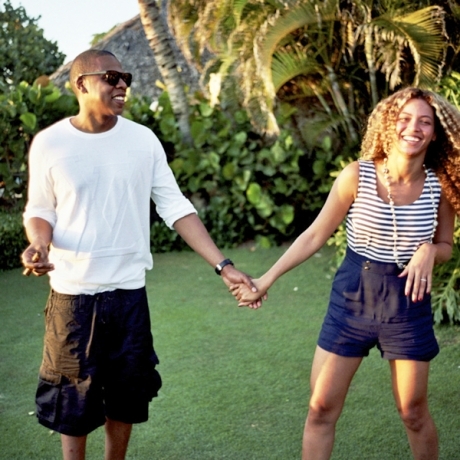 Life is but a dream also shows the transition of her being married to Jay Z, and seeing their dynamics behind the scenes and their connection. Him being very strong in his own self to standing beside her for her to grow and blossom into her own. They have been together more than a decade (10 + years). So many ladies desire to have that type of connection and love with a special someone. Her passion, creativity and love for her art is beautiful to watch. She has a wonderful relationship with her sisters, her mom and the women on her team and band. connecting with women as she says ” she needs her sisters “. Is a great statement to hold because so many of us women do put each other down. Women are the first to say something negative about a woman we don’t even know. We will eagerly listen to hear say or gossip from other women claiming to know the person, yet deep down don’t. Women do not want to support other women, especially if the other is so called ” doing the same thing”. Women are so jealous, envious and blamers. Always blaming the other women for the issues or problems in their life. Women make it hard for other women to trust them or even express their dreams because of the evil- eye most women hold. Beyonce expresses her goals of inspiring women especially to be independent and powerful, and show that they too can own their own business and own their own life without the help of a man or the lashes of insults hurled from other women or family. I read a statement the other day that said ” … I’m so tired of her making documentary after documentary. Always talking about herself!“. If you pay attention, this is a medium she expresses through. Its her art. And its not surprising because her dad use to video everything going on in his family life. Video and music is her art form and she’s pretty good at it. Instead of hate, see that this is how she expresses herself and art. There’s a fear to opening the doors upon your life because everyone is quick to judge and quick to hate. But i truly hope that you will see we all live and experience a perspective of LIFE. Its only a view-point, a angle, a degree. It’s not suppose to be one-dimension or we would all be FLAT. GOSH! ABOUT 2 thumbs up! 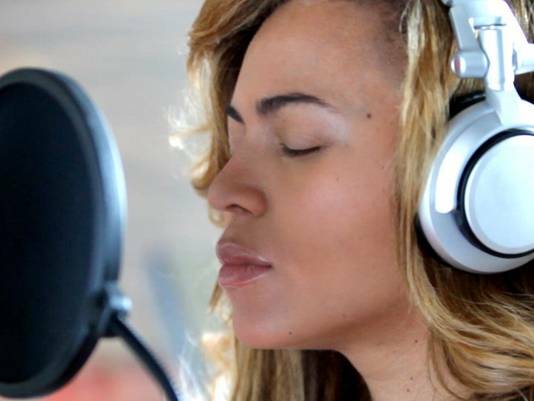 for HBO’s Beyonce: Life Is But A Dream! She is Human like the rest of us.